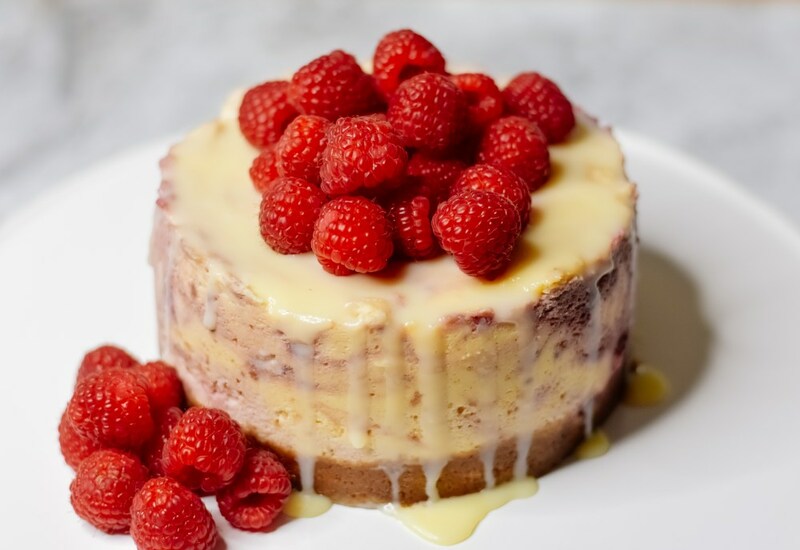 White chocolate and raspberries are naturally complementary, and pairing them together in a decadent cheesecake will have your guests lining up for another slice and asking for the recipe! Bursting with the flavor of fresh raspberries and the smooth flavor of white chocolate and a graham cracker crust, this is a surefire hit. That it's made so quickly and easily using your pressure cooker is just extra icing on the cake, so to speak! A foil sling is a quick and easy contraption that will allow you to lower the cake pan down into the pressure cooker. Start by tearing off a 18-inch x 18-inch piece of aluminum foil. Fold it in half. Fold it in half again. Fold it in half one more time! There, now it’s super sturdy to hold the weight of your cheesecake. If you want to see a step-by-step article showing how to make the sling and what each step looks like, check out our article here. Per Serving: 392 calories; 22g fat; 43.5g carbohydrates; 5g protein; 91mg cholesterol; 207mg sodium. White chocolate and raspberry really are the best combination when it comes to dessert. I love that the pressure cooker cuts out so much cook time!